Sunglasses are functional and fashionable. They provide protection for your eyes against the ultraviolet(UV) radiation, bright visible light and glare. With the ozone layer depleting, exposure to the suns harmful rays are increasing. These rays are contributing to early wrinkling, cataracts, sunburn of the eye, eyelid and other forms of skin cancer. Experts also believe that over exposure to UV can damage the central retina. Sunglasses can also provide eye protection when playing sports. For example branches and debris you don't see coming when mountain biking. Sunglasses can protect your eyes from foreign objects. Sports eyewear can save your eyes from preventable and sometimes permanent injuries. At Focal Point we stock sunglasses for all occasions. If we don't stock it, we can order it in for you. Our staff have a good knowledge on sunglasses and can recommend a suitable pair of sunglasses that meet your requirements. The first thing to consider when buying a pair of sunglasses is what will you be using them for. Will you be using them for extreme sports, driving, everyday wear or a fashion accessory. There are many different types that will provide maximum comfort and vision in specific areas. Wrap around sunglasses can block UV light from the sides, top and bottom and are ideal for water sports, beaches and skiing where there is a lot of reflection. Today people have more than one pair of sunglasses for different occasions and attire. Your sunglasses should have a comfortable fit and you should feel confident wearing them. Discuss the options available with our staff. We also have prescription sunglasses available. Sunglass lenses can be put into two main categories- glass and plastic. PLASTIC OR POLYCARBONATE - light and impact resistant. Plastic lenses are good for physical activities and are also suitable for everyday wear. Polarized - control glare by absorbing light that scatters. 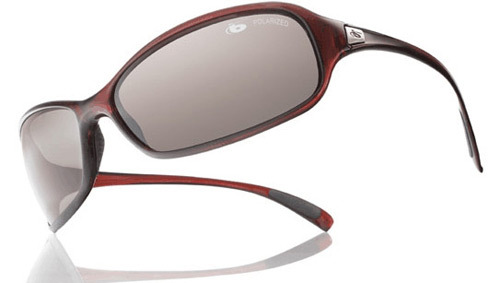 Because they cut glare, polarized lenses are favoured by golfers, fishermen and outdoor enthusiasts. They are also recommended for driving. Photo chromic - good for people who don't like switching between prescription glasses and sunglasses. These light-sensitive lenses darken in about 30 seconds when exposed to bright lights. Once indoors they lighten within 3 minutes. Although suitable for everyday wear, photo chromic lenses are not recommended for high glare sports, such as boating or skiing. Anti-reflective coatings - reduces glare and reflections off your lenses. This increases the amount of light that reaches your eyes and provides brighter, crisper and clearer vision. The colour and darkness of your sunglasses lenses has little to do with the UV protection. Decide what you will be using your sunglasses for to get the maximum comfort and performance. Grey - allows true colour perception and does not enhance contrast. A good tint for golf, running or cycling. Green - allows true colour perception and produces a fair contrast in low light. It also reduces eye strain in bright light. Brown - is better in hazy conditions and enhances contrast. 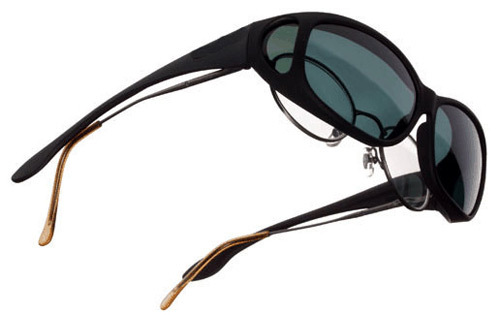 A good tint for high-glare sports such as fishing, skiing or sailing. Yellow - produces excellent depth perception and contrast in low light. Good for mountain biking and shooting. RED - has excellent depth perception in low light. It also creates contrast against blue and green backgrounds. 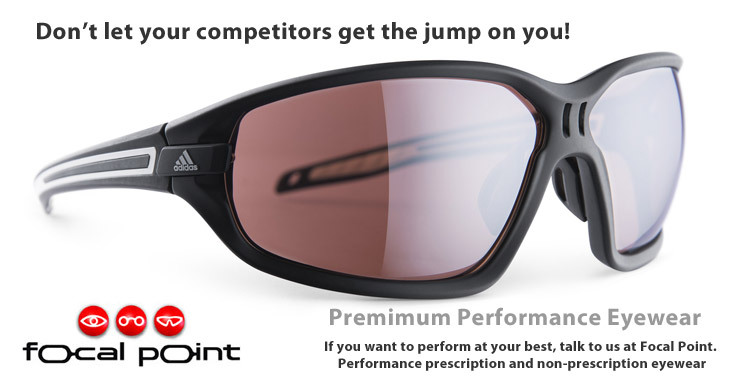 A good tint for skiers or sports people. Prescription sunglasses provide you with good optical vision while protecting your eyes from harmful UV rays. The lenses are custom made to suit your prescription in a pair of sunglasses or frames of your choice and then tinted to your requirements. Cost may vary depending on your prescription and the shape of your lenses. Unfortunately not all sunglasses are suitable for prescription lenses due to the curvature of the lens. Come and see us to discuss what options are available. Your sunglasses will last longer and feel more comfortable with proper care. Avoid taking the sunglasses off with one hand as this can cause them to twist and place stress on the frame. Protect your sunglasses by returning them to their case when not in use and never lay the sunglasses down on their lenses. Most importantly don't give them to young children to play with, they are not a toy. Don't panic! At Focal Point we offer a comprehensive repair service. If your sunglasses break or a screw comes loose we will do our best to fix it. Unfortunately not all breakages are repairable. All sunglasses purchased at Focal Point have an exclusive 1 year manufacturers warranty. Most sunglasses block out approved levels of ultraviolet(UV) radiation. The price of sunglasses starts from about $30 with the main difference being the brand and quality of the sunglasses. Cheaper sunglass lenses are made using cheaper materials and production processes, often leading to distortion in the lenses and a shorter life span. Although not noticeable to the untrained eye, they are not suitable for a sports person who requires good peripheral vision and precision, for sports such as golf and shooting. Good quality lenses are made from better materials and ground so that there is little or no distortion. The quality of the tint is also a contributing factor to the cost. From past experiences we have found that once customers have worn the best sunglasses they will never settle for anything less, even if price is an issue at the time. If you take care of your sunglasses they can last forever and if you spread that cost over its lifetime it is worth paying a little more. More often than not if you purchase a cheap pair of sunglasses you will treat them like a cheap pair of sunglasses. Come and try out the latest styles and fashion sunglasses today you won't be disappointed.